If you think that watermelon is a just one of those delicious fruits that help to quench your thirst and keep your body hydrated throughout the hot summer months, let me tell you, it is definitely more than that. A rich storehouse of potassium as well as vitamins C, A and B6, this juicy fruit is known to possess immense nutritional benefits. But while the health benefits of watermelons are discussed at length, the beauty facts are still not widely known. Watermelon is beneficial to your skin and incorporating this sweet and subtly crunchy fruit in your regular diet and beauty regime can prove to be a boon for your beauty needs. Watermelon is an excellent source of anti-oxidants. Thus, it aids to fight the free radicals which are considered responsible for the occurrence of age-spots, fine lines and wrinkles. Watermelon is efficient in preventing your skin from these damages. Watermelon is loaded with Vitamin A that assists to reduce the size of pores on your skin and consequently, minimize excessive secretion of oil. Watermelon contains 92% water and thus, it helps to hydrate your body and impart a healthy look. When your body is hydrated, the production of collagen is promoted and you get a firm and young-looking skin. The acids contained in watermelon work have exfoliating properties to make your skin radiant. The calorie content of watermelon is low and therefore, eating this fruit keeps you in shape. Watermelon is a natural diuretic that facilitates the flushing out of toxins from your body gently and it cleanses your system to reveal youthful skin. Watermelon has moisturizing properties that boosts the moistness of your skin. Watermelon can rejuvenate and revitalize skin that is dull and affected. Watermelons are known to prevent acnes effectively. Watermelon juice guards your skin from the damages made by the sun. After grating a watermelon, take out the juice and apply it on your face. Keep for fifteen minutes. Wash off with hot water first and then with cold water. This will give you a fresh and clean feeling. If you want to close open pores, mix watermelon juice with crushed mint leaves. Freeze the mixture and rub the ice cubes on your skin. This will also have a cooling and soothing effect on your skin. A cup of watermelon pieces can be smashed and applied on the face to tighten the skin. Leave this pack for ten minutes, relax and then rinse. This exfoliates your skin and gives you a natural facelift. You can also choose to exfoliate your skin by combining mashed watermelon pulp with yoghurt (if you have an oily skin) or with banana (if you have a dry skin). To prepare a natural toner, combine the juice of watermelon with honey and apply it on dry skin. For catering to the needs of oily skin, you need to mix a cup of watermelon juice with two tablespoon of witch hazel; add two spoons of water. Dab it on your face with a cotton ball. Watermelon is used for making natural body scrub which will add a glowing effect to your body. 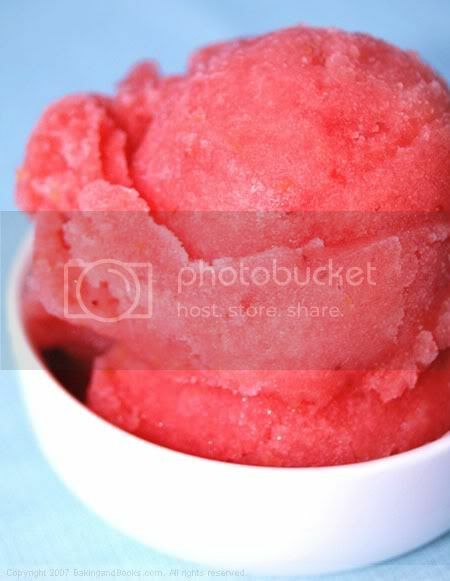 Mix one cup of watermelon pulp, crushed in a blender, thoroughly with sugar. Add lemon juice and store it in an air tight container for about a week in the refrigerator. Rub it on your skin for gentle exfoliation whenever you take a bath. In summer, this cool scrub is going to soothe and relieve your tired skin. Watermelon scrub can also be prepared by mixing the pulp with a bit of gram flour. Use this simple recipe to get a bright skin tone effortlessly. Watermelon forms a vital ingredient for face-packs that give you smooth complexion and soft skin. Mix the pulp of watermelon and cucumber in equal quantities and apply it on your face and neck. Leave it on for twenty minutes and rinse. This pack is useful for treating sunburns and tanned skin so that you do not have to compromise when it comes to your looks in the summer. To protect your feet from the scorching heat on dusty summer days, pedicure is a must and what can be better than a watermelon pedicure in the hot season to soothe tired feet? Crush half-a-cup watermelon and strain the juice. Mix crushed almonds (one teaspoon) and yoghurt (quarter cup). Apply the mixture on your feet in circular movements. Remove it with a tissue. Rinse with water to discover gorgeous feet. Thanx Cali…..esp in this hot summer, it is a boon!! I love watermelons toooooooooo!! I know.. The heat’s really killing here too..
Btw, is that your wedding pic?? You look gorgeous!!! Hey Mrunmayee.. :thanks: but Im not married yet :yelo: :yelo: this pic was taken at my friend’s marriage reception :jiggy2: :jiggy2: BTW, where r u from??? BTW what does Somreeta mean? by the way..what does UZMA mean??? me liked it at the store………..will review it and send the post for /IMBB???? 134 us so wearble na..
Our office boy brings watermelon juice and chunks around every now and then… Im gonna shock him by applying it on my phiz… but seriously, I need pore intervention, so I will defnly try this out. Lolzzz 😆 😆 by the way, where r u working Shai? ?